Love Jello Shots, but want something a bit more refined? 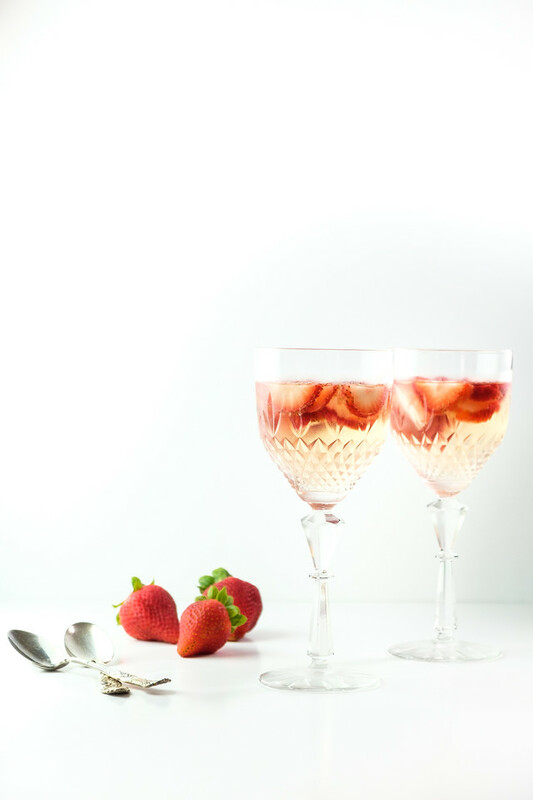 Love the Champagne with Strawberry combination? 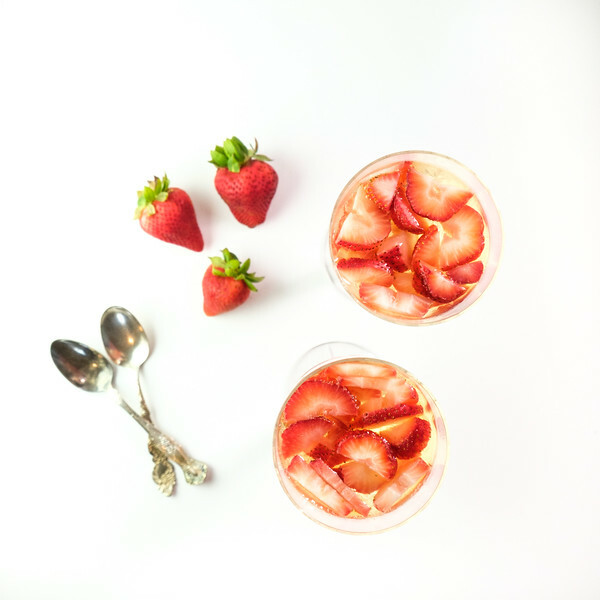 Sparkling wine turns a childhood treat into a definitely adult treat in these Sparkling Wine and Strawberry Gelatin Cups. I admit it, I love jello shots. Getting your cocktail in a throwback to a childhood favorite is fun. But jello shots as fun as they are, lack a bit of sophistication, don’t you think? So when I saw these Strawberry Champagne Gelatin Cups at Sweet Paul, it checked off all my fun boxes and included a bit of refinement. This dessert is so elegant and so easy! You could easily had some blueberries and have a patriotic grown-up dessert for the Fourth of July! My mind is spinning with all the different variations of this! Expect to see some more here soon. It’s no surprise that I love these, since I am always looking for a dessert that doesn’t require baking and fussy measuring, which is why I love panna cottas: Vanilla Yogurt Panna Cotta with Yogurt and Candied Walnuts and Nutella Panna Cotta with Candied Hazelnuts are two of my favorites! Served up in fancy goblets, these would be perfect for entertaining. You could make them a day or two ahead of time and have them chilling in the fridge. So, easy! I think it would be pretty in these glasses: Gold Trimmed Goblets, Boston Goblet and Vintage Tulip Design. 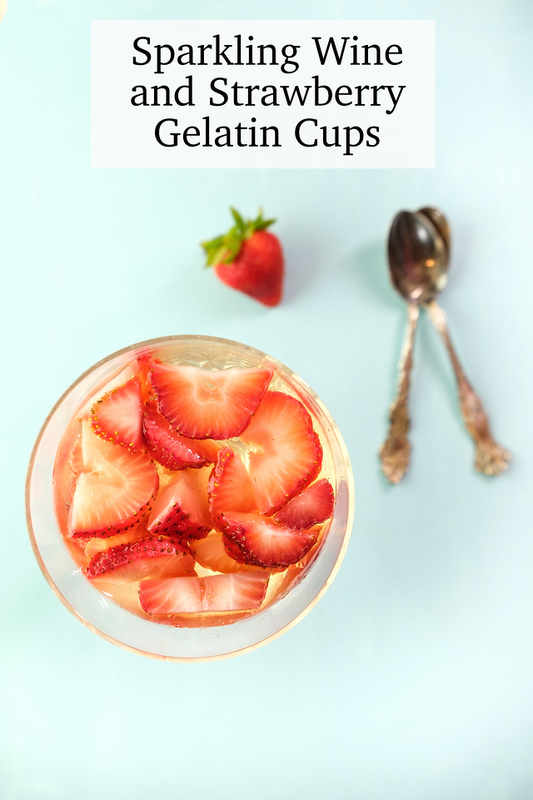 Sparkling Wine turns this childhood favorite into an adult treat in this Sparkling Wine and Strawberry Gelatin Cups. Pour the wine into a medium batter bowl. Sprinkle the gelatin on top. Let it rest for 5 minutes to soften. Heat the water and sugar over medium high heat in a saucepan, stirring, until the sugar dissolves and the water just starts to simmer. Stir the wine mixture and continue to stir as you add the heated water and sugar. Divide the strawberries between 6 dessert glasses. Pour the wine mixture evenly into the glasses. Refrigerate for at least 4 hours, but preferably overnight. Need to chill for at least 4 hours. A very refreshing summer treat! Thanks so much for sharing with us at Full Plate Thursday. Have a great week and come back soon! Those look so elegant. We have had strawberries on sale here quite a bit. I eat them everyday now.